Whether you're an amateur or a pro, everyone's an all-star with our inflatable basketball game rental! 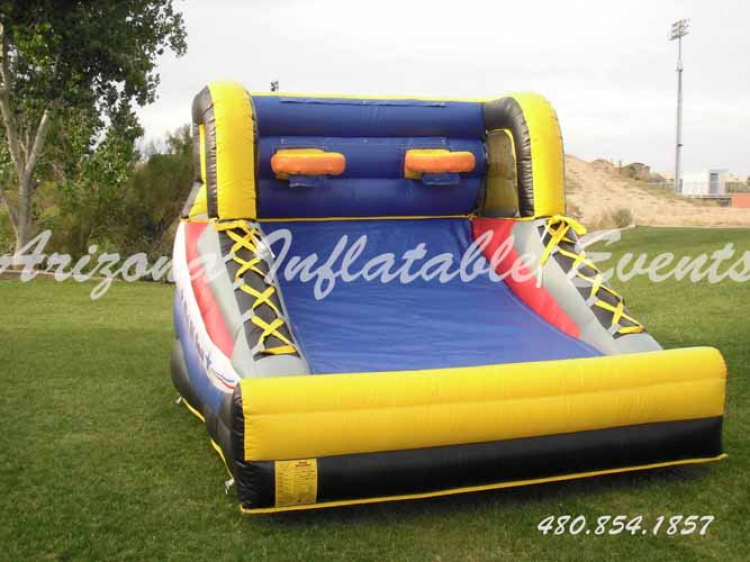 This inflatable game measures 10 feet long by 10 feet wide by 8 feet high but requires a space 14 feet long by 14 feet wide. Guests will enjoy hours of fun shooting baskets. This inflatable basketball game is a smaller version of the giant basketball game and is great for your younger guest. This inflatable basketball rental includes 4 mini basketballs. 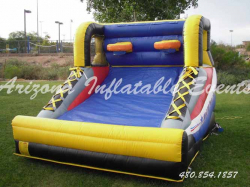 Looking for an inflatable basketball game rental for older kids or adults try our larger inflatable shooting stars game. Call Arizona Inflatable Events to reserve your inflatable All Star Hoop Shoot Basketball Game!